A portion of each Breast Cancer Gold Note purchased goes directly to the Breast Cancer Research Foundation. Proudly display your "I donated..." gold note at your home and office in honor of the ones who've survived, the family and friends, and to the loved ones we've lost. - Each gold note is layered with a protective film of high-level plastic making for a stunning piece! - They're designed to fit in a standard 5 x 7 inch frame. 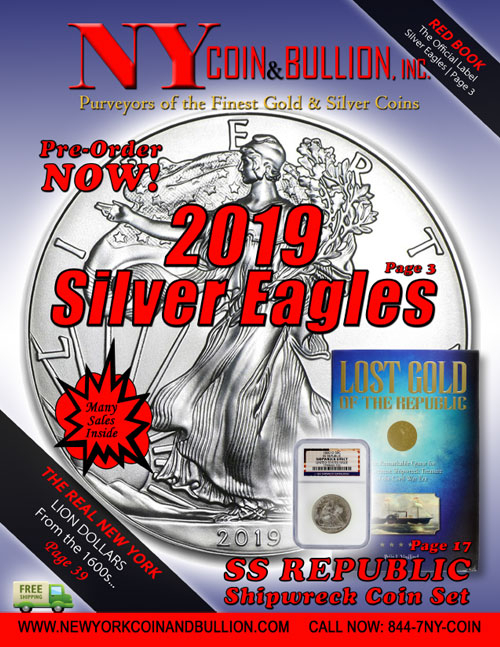 - Only available from NY Coin and Bullion, Inc. Breast cancer affects us all. The women in our lives are all at risk. Many of us have suffered through the trauma of treating this terrible disease with far too many succumbing to it's deadly outcome. It's up to all of us to fight back by searching for a cure. NYCB has partnered with the Breast Cancer Research Foundation to do our part. - One in eight women in the United States will be diagnosed with breast cancer in her lifetime. - Breast cancer is the most commonly diagnosed cancer in women. - Breast cancer is the second leading cause of cancer death among women. - Each year it is estimated that over 252,710 women in the United States will be diagnosed with breast cancer and more than 40,500 will die. - Although breast cancer in men is rare, an estimated 2,470 men will be diagnosed with breast cancer and approximately 460 will die each year. - On average, every 2 minutes a woman is diagnosed with breast cancer and 1 woman will die of breast cancer every 13 minutes. - Over 3.3 million breast cancer survivors are alive in the United States today. NOTE: Artwork is for demonstration purposes only, but faithfully reproduces the actual item. Prices may be subject to change based on daily gold and silver spot pricing. 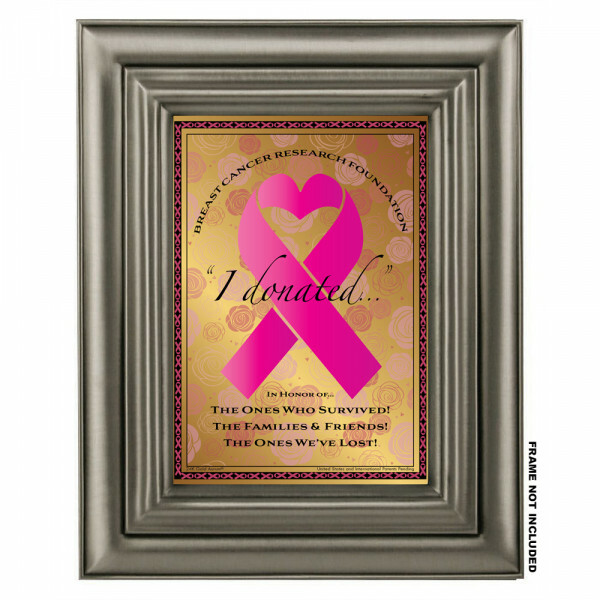 SKU10740 "I Donated" Breast Cancer Awareness 24K Gold Aurum Note A portion of each Breast Cancer Gold Note purchased goes directly to the Breast Cancer Research Foundation. 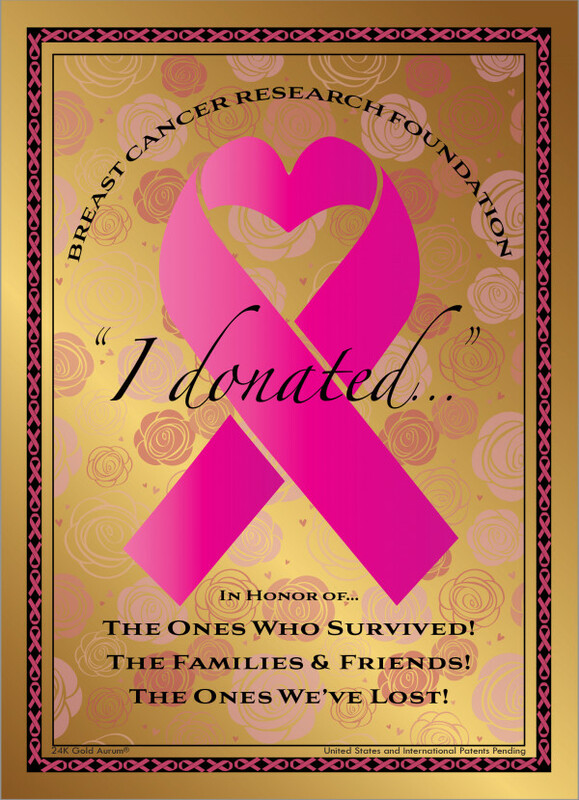 Proudly display your "I donated..." gold note at your home and office in honor of the ones who've survived, the family and friends, and to the loved ones we've lost. Highlights: - Each note is guaranteed to contain at least 50 mg of pure 24k Gold - Each gold note is layered with a protective film of high-level plastic making for a stunning piece! 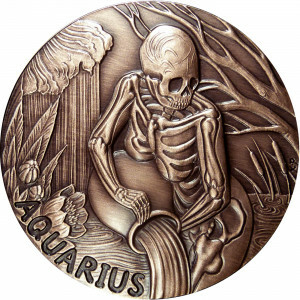 - They're designed to fit in a standard 5 x 7 inch frame. 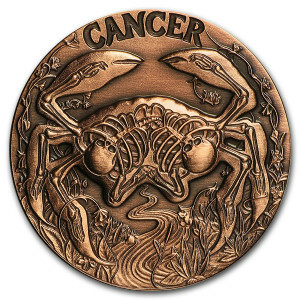 - Only available from NY Coin and Bullion, Inc. - Frame not included Breast cancer affects us all. The women in our lives are all at risk. Many of us have suffered through the trauma of treating this terrible disease with far too many succumbing to it's deadly outcome. It's up to all of us to fight back by searching for a cure. NYCB has partnered with the Breast Cancer Research Foundation to do our part. Facts About Breast Cancer In The United States (according to nationalbreastcancer.org): - One in eight women in the United States will be diagnosed with breast cancer in her lifetime. - Breast cancer is the most commonly diagnosed cancer in women. - Breast cancer is the second leading cause of cancer death among women. - Each year it is estimated that over 252,710 women in the United States will be diagnosed with breast cancer and more than 40,500 will die. - Although breast cancer in men is rare, an estimated 2,470 men will be diagnosed with breast cancer and approximately 460 will die each year. - On average, every 2 minutes a woman is diagnosed with breast cancer and 1 woman will die of breast cancer every 13 minutes. - Over 3.3 million breast cancer survivors are alive in the United States today. NOTE: Artwork is for demonstration purposes only, but faithfully reproduces the actual item. 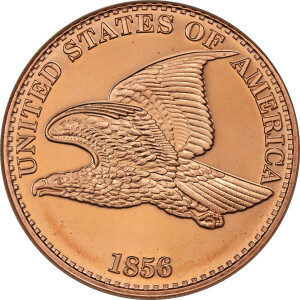 Prices may be subject to change based on daily gold and silver spot pricing.